The unique Flexi is capable of lifting up to heights of 12 metres in very tight spaces. And it loads like a counterbalance! 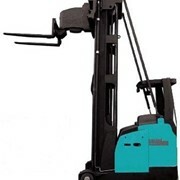 Flexi is the name of our flagship forklift. Its name indicates how versatile it is in modern warehouses. It can work in very small spaces- even in 1.8 metre aisles. 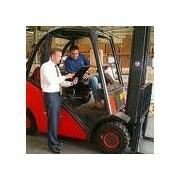 There is a range of Flexi Narrow Aisle Articulated Forklifts available. 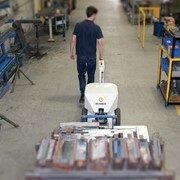 Would you like to decrease your handling costs by 50 per cent? 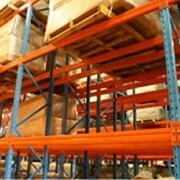 Increase your warehousing storage space by 30 per cent? 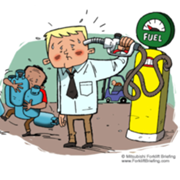 Improve productivity? 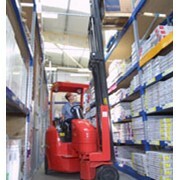 The Flexi Narrow Aisle Articulated Forklift can do all this for you and more. 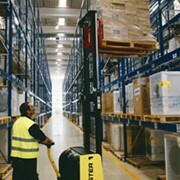 Flexi Narrow Aisle Forklifts have been designed to combine the features of a reach truck with those of a standard counterbalance truck. 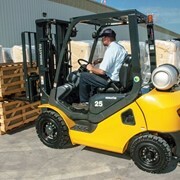 This unique hybrid forklift can operate just fine in the loading yard outside as well as indoors in extremely restricted aisles. The Flexi Narrow Aisle Forklift allows you to cut your costs by abolishing double handling and replacing two separate forklifts with one versatile machine. 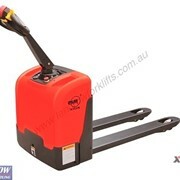 Compact - The Flexi Narrow Aisle needs only 1800 mm compared with 2800mm for a standard reach truck. 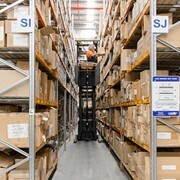 Increased warehouse capacity by 30% + due to reduced aisle widths. 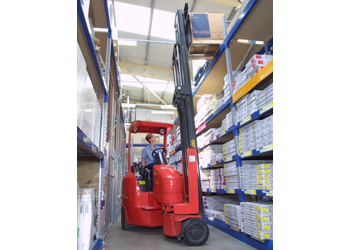 The Flexi Narrow Aisle forklift allows you to easily reduce your aisle widths and thereby avoid a costly warehouse house extension or relocation. Versatile – The Flexi Narrow Aisle Articulated Forklift can unload pallets from deliveries outside, and then take them straight into the warehouse shelving. 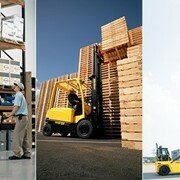 Increased Productivity – The Flexi Narrow Aisle Forklift gets the job done faster with no double handling. Available in electric (easily removed rear battery) or LPG. Designed for indoor and outdoor operations. 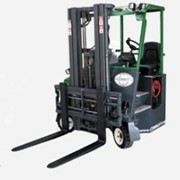 Does the work of a turret truck, reach truck and counterbalance forklift without requiring wire guidance or guide rails. Basic capacity of 2000 kg. 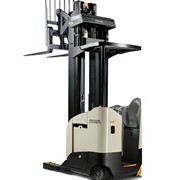 Lift heights to 12 metres with 1000 kg capacity. Clear view triplex mast design provides maximum visibility at all stages of operation. Adjustable steering and seat position provide a comfortable working environment. Easily accessible controllers and motors for simple and quick servicing without having to remove the battery. 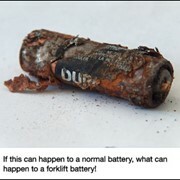 Battery options available for shift and heavy work requirements. Camera available for height accuracy. Available in special configurations such as Flameproof, cold storage. All forklifts come with grammar suspension seat. Strong and proven David Brown differential from the U.S. Durable long lasting large cushion tyres. Exceptional clear vision of pallet load whilst at height. 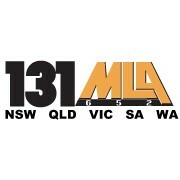 Backed by a National Service Network of dealers throughout Australia.